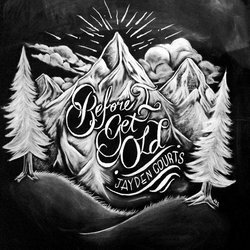 Jayden Courts is a local singer songwriter to the South East Queensland area of Australia. He has been working on his craft for 15 years now and in that time has independently released an EP. His fresh sound and soulful smooth vocals is attracting listeners from afar and is leaving them wanting more. In 2012, Jayden completed his Bachelor in Popular Music and was able to hone his skills as a songwriter and audio producer. Since then he has written music for churches, schools, and other artists on top of developing his own music. By mid 2019 Jayden aims to digitally release a full album. 'Running' is a fun acoustic driven track that has some sweet instrumental additions that really helps to encapsulate the sensation of running. The story is about a young man, pursuing truth and remaining steadfast to do so.